Imagine if your life purpose materialized in front of you, if you could uncover your unique gifts and your direction was clarified and distinctly laid out. What if you could have your energy back, your vitality and spirit effortlessly showing up for you every day. If the challenges you face didn’t stop you from going forward and instead every time they appear you’re stronger and better for it. When you head to bed every night you fall asleep without resistance because you’ll know you had the courage to follow your passions and live true to your values. But right now, you don’t feel full of energy, you’re awake all hours of the night and your problems seem too difficult to overcome. I was there, I know what you’re going through. I used to numb myself with anything I could find and I didn’t think my life was worth living. But numbing the pain isn’t a long-term solution and will surface eventually. You need a real solution and one that will stay with you for life. My life now is so full of joy and love and I want that for you too. 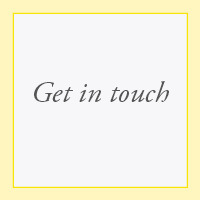 Feeling a lack of confidence, unsure of yourself and feeling flat? Are your energy levels low, are you feeling burnt out and depleted? Have insomnia, staying awake at night unable to get to sleep? Stuck in a bad relationship and finding it hard to connect with people? Feeling scattered, off track and misaligned? The good news is I can help. Work with me and book a color energy reading, you’ll work with me directly as I read your energy based on colors and numerology. You could visualise your life’s purpose, follow your path and take action to fulfil your dreams. These are just some of the benefits you’ll experience when you work with me. A color energy reading is an in-depth session for women who want to live an extraordinary life. A color energy reading is very simple, all you need to do is show up and I’ll deliver the rest. The sessions are held online, so you can speak to me in your PJ’s if you want! We learn how to write essays, do complicated maths problems and drive in traffic, but we don’t learn about ourselves. The color energy reading will teach you how to refuel, develop confidence, show you what colors to wear and surround yourself with, put you on your true life path and find out what your inner strengths are. Unlike other readings, I combine colors and numerology to show you how your energy is sitting and what you can do personally to change your life. Color therapy is an ancient technique that’s been used for millennia and can offer you so much more than you imagine. 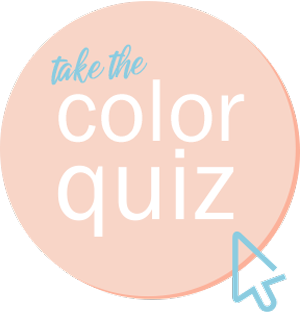 I’m Walaa, and I’m a Certified Color Therapist and Certified Color Time Consultant. I teach meditation and use sound healing to transform lives and I’m also a qualified interior designer and yoga teacher. 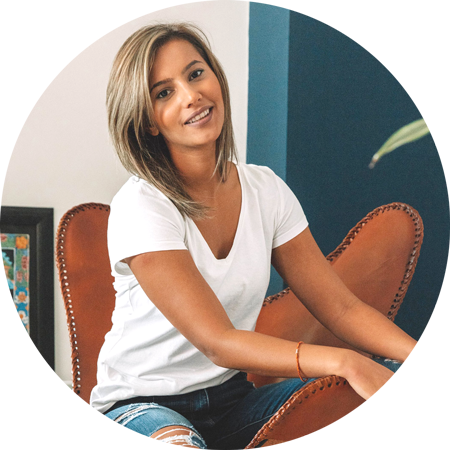 I’ve worked with women all over the world to overcome life’s complications and to develop their internal confidence to live extraordinary lives. Walaa is amazing. She knows how to point out the problem and explain things to different personalities and people. I feel that I am slowly changing on the inside. A change that is so beautiful. Walaa has given the strength that I needed and the ability to love and appreciate myself. Walaa has a vast knowledge on the subject of colour healing and meditation. She always puts her heart into her work and it really shines through. She is passionate about helping others and that’s what makes her so special. Always ready to help heal and you really see the results. I’ll never look at colours the same way again! You could walk away today without knowing what your life could be like, what your true potential might be. You could plod along forever and never know what you’re truly capable of. You only need one color energy reading, and it’s not 1000’s of $$. Because color energy readings are so intensive I can only offer so many of them, and only do a handful of color energy readings per month. As each day goes by your life could be improving and filled with love, joy and appreciation, and if you’re currently feeling flat and like life isn’t going anywhere this might be just what you need. Now including a power color meditation tailored for you during the session! Schedule your color energy reading now.